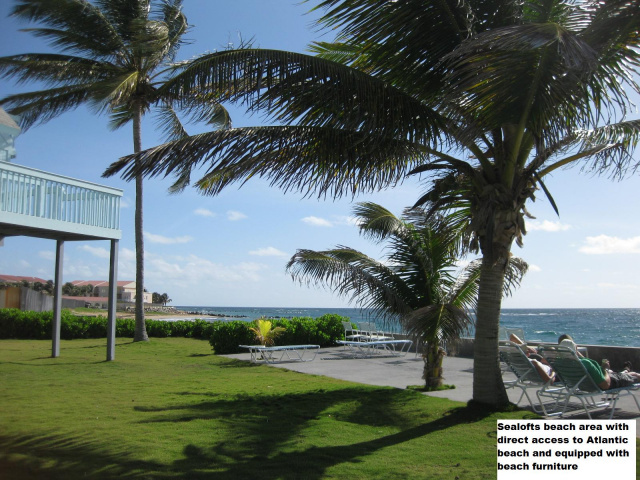 Sealofts On The Beach consists of 25 duplexes nicely positioned on a three-acre site running from the ocean to the edge of the Royal St. Kitts 18 hole championship golf course on Zenway Boulevard in Frigate Bay. 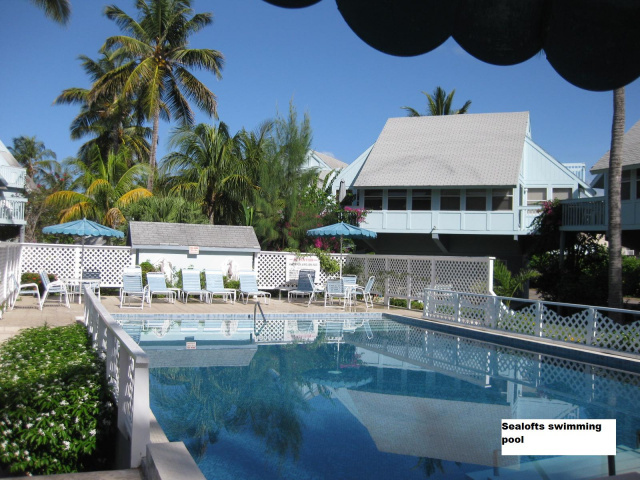 These well maintained vacation villas are adjacent to the St Kitts Marriott resort. All units are just a short walk to the beach with the ocean view units providing a magnificent view of the Atlantic ocean & the gardenview/poolview units providing wonderful views of the mountains, garden and the fresh water swimming pool. The ground floor or "pedestal level" is made of concrete and may contain a shower and/or toilet, along with a washer and dryer. Each two-bedroom unit has sundecks on the second & third levels. Amenities include large freshwater swimming pool, 2 gazebos, barbecue area, tropical garden and direct access to the Atlantic beach with magnificent views of Ocean Edge resort and Marriott resort from the beach lounge area. All units are privately owned. 2 bdrm 2 bath gardenview unit - SIMPLY CHARMING! Our friendly property manager and staff are readily available on the compound during normal working hours to assist you. The villas are in the heart of Frigate Bay, an upmarket area, known for its fine restaurants, beautiful beaches, casinos, bars and nightlife. Best of all, while these amenities are close you don't hear them at Sealofts - all you hear is the wind and the sea.